Salvaged from the husks of old factories and infused with a spirit all its own, the district offers up a wonderfully imaginative stew of markets, play areas, cultural activities, and stunning waterfronts. Granville Island would not likely win any design awards. In fact, the amount spent on architecture, landscape design, materials and construction seems to be the minimum necessary. Despite this, the island boasts a strong and appealing aesthetic and what amounts to a very bold and successful design concept. Minimalist and metal sided, each of the islands buildings is given an understated charm and an unmistakable identity through painted color, through allowing the internal use to flow out of the structures and through some of the best signage anywhere in world. The public spaces are tied together by painted piping seemingly left from the islands industrial roots, by the absence of curbs and by the pull of the islands many destinations strung together by amenity clad walkways. 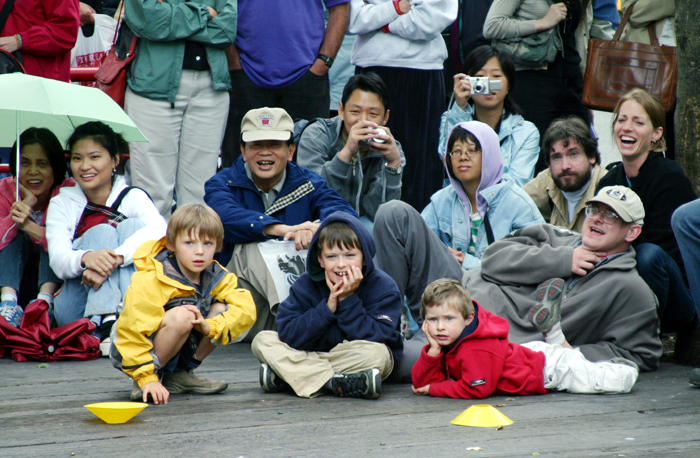 Granville Island's lessons are that great places can be created almost anywhere under any conditions with minimal expense. Given its isolation Granville Island had to succeed not only as a series of great places, but as a great district. It has succeeded, not by focusing on a coherent master plan or a theme park like design integrity, but through maintaining its flexibility as it has grown institutions, business and places from within -- serving a broader and broader set of users. Certainly, its becoming a top draw for tourists in North America and also increasingly functions as a day-to-day community place for the burgeoning population of high-rise dwellers in downtown Vancouver. 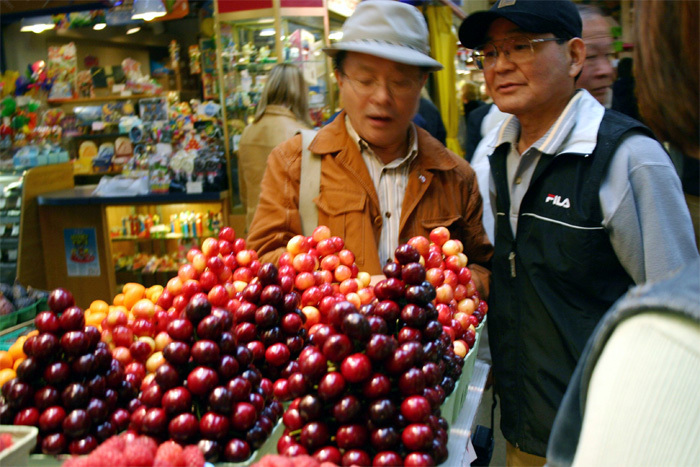 Whether you are a tourist or a local, Granville island offers something for you, and a new experience every time you go back. 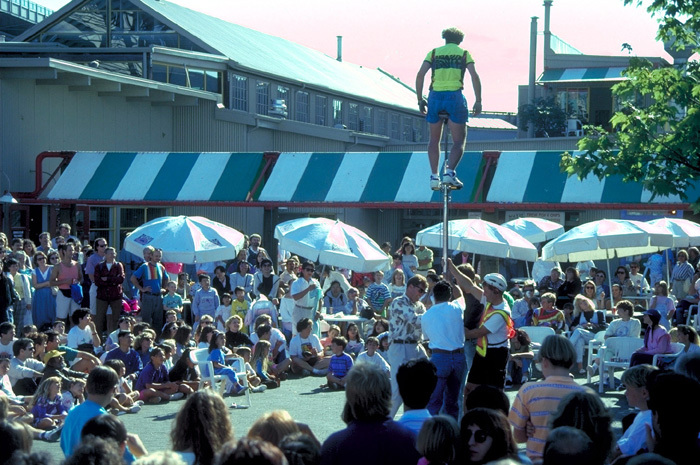 Originally shaped for industrial use in 1913, the buildings on Granville Island deteriorated until a planning process for the island's redevelopment was initiated 60 years later. 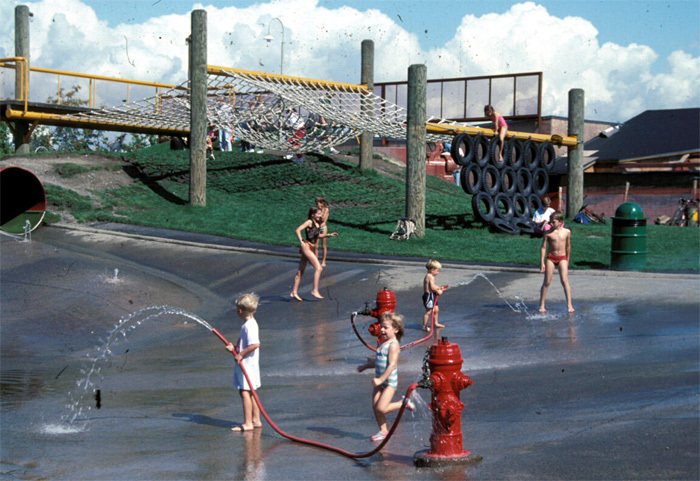 Many vestiges of the past were retained, such as tin and stucco siding, industrial-style doorways, cranes, and rail tracks, and the result was an inviting public space with a plethora of uses and activities. 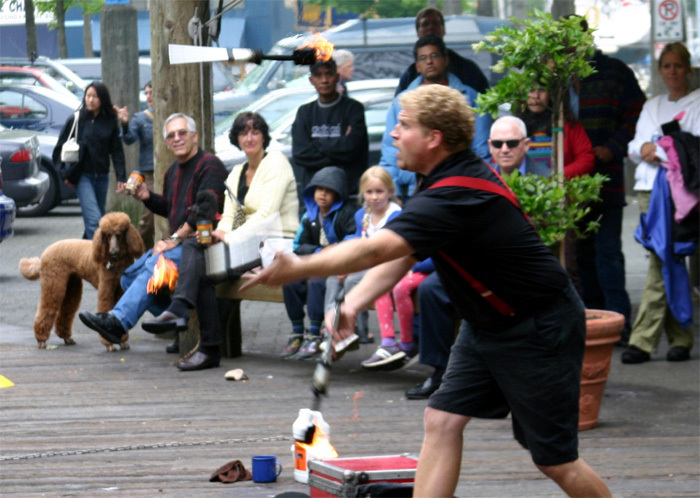 Artistic uses include an art institute, a theater, galleries, and studios; for children there's a free waterpark, playground, and kids market with toys, clothing, and books; and in the way of food, Granville offers a superb a public market and a series of restaurants. Floating homes and boat rentals complete the picture. In short, one can pass the entire day here and leave some places unexplored. 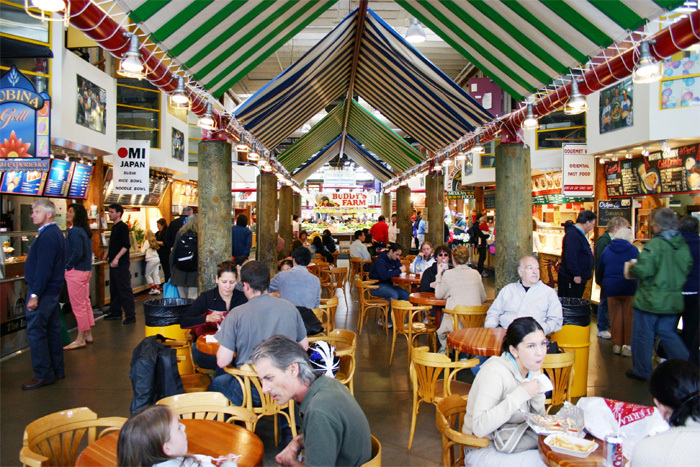 Granville Island is owned by the Canadian government. Following a study commissioned by the Canada Mortgage and Housing Corporation, the Canadian government committed $25 million to the island's redevelopment, $11 million of which was used to buy out the remaining industrial leases. 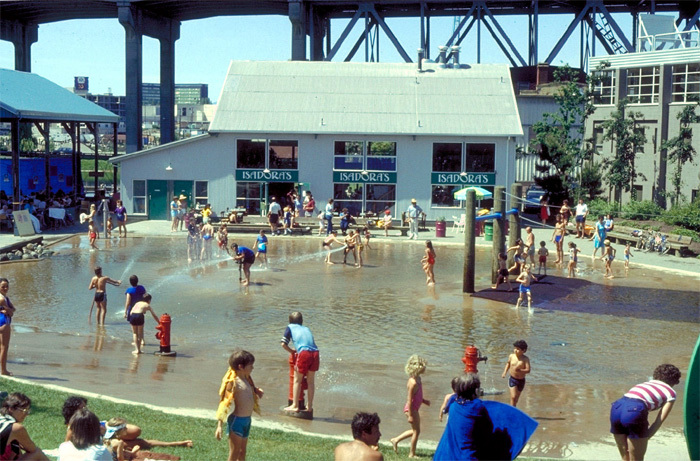 In 1976, the Granville Island Trust was appointed to direct the redevelopment. The planning and design objectives were to recycle the industrial and warehouse buildings by changing them into multi-use structures. The plan also focused on maintaining the industrial feel of the island while introducing a range of cultural, educational, commercial and some industrial uses. The main restriction on the project was that the island could not operate on a deficit when completed.